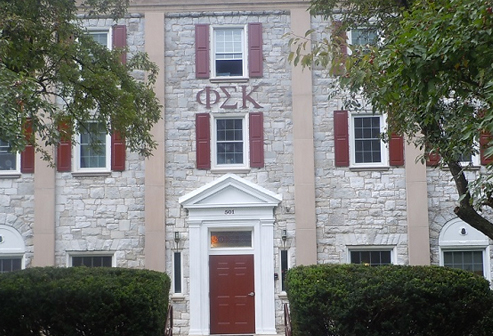 Huge Homecoming for Phi Sigma Kappa! Homecoming week was an eventful one for the Kappa Chapter of Phi Sigma Kappa this past November. 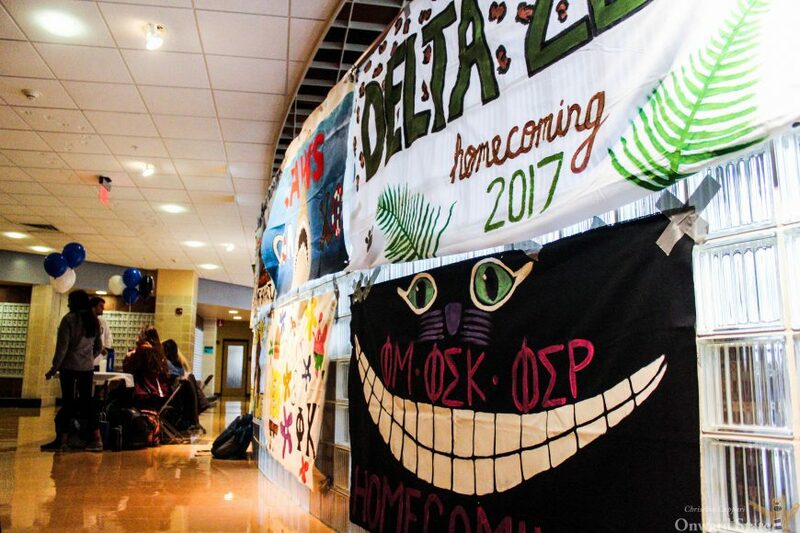 In addition to having a tailgate hosted by alumnus David Hyland, the active chapter of Phi Sigma Kappa came in first place in the Homecoming competition. With many events throughout Homecoming week such as the talent show and homecoming parade, there was much for the fraternity and their partners to plan. “The largest amount of planning came when we had to start the float. Our triad ? Triad ?partners designed a phenomenal float but when it came to put it together it turned into an ordeal. However, luckily, we were able to create a schedule for people to “pomp” and decorate the float that made it easy to finish.”, said Kudler. And their hard work paid off. After many hours spent constructing the float and mad hatter, the fraternity and their partners had finally come in first place for this category. Ultimately their success in designing both entries helped them win the overall homecoming competition as well. On Saturday, many of the undergraduate brothers and alumni celebrated the fraternity’s success during a tailgate hosted by David Hyland. “We probably had a total of 30 to 35 people. It was great to see some brothers and their families that we don’t normally see,” Hyland said. The tailgate activities included games, hot dogs, hamburgers, and the State College Diner’s famous grilled stickies. “It was difficult to break away from the tailgate to attend the game,” Hyland responded when asked about the success of the tailgate. It was a great week for Phi Sig. From pomping to tailgating, fraternity brothers both past and present were able to connect, reinforcing why each of them values their chapter in the first place.